My name is Tyler Munden and I am a video game designer living in Red Bank, New Jersey. 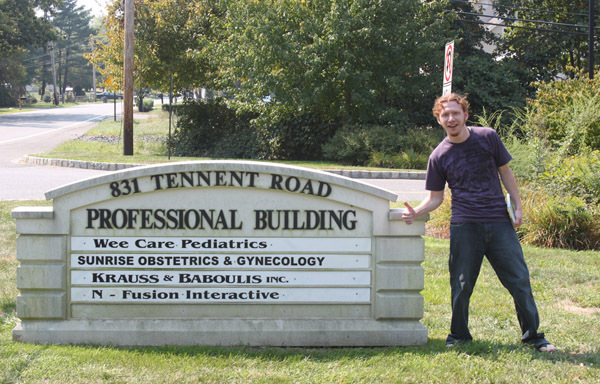 I work at a game development studio in Manalapan, NJ called N-Fusion Interactive. I was born in London, Ohio and lived there until I finished High School. Then I moved to Orlando, Florida and studied at Full Sail where I recieved an Associates Degree in Computer Animation. After that I went to work for 2015 inc. in Tulsa, Oklahoma. I moved back home after the company downsized. After a brief stay back in Ohio I moved to New Jersey to work at N-Fusion Interactive. I have been living and working here for over 2 years now and have learned far more than I could have ever learned in school. 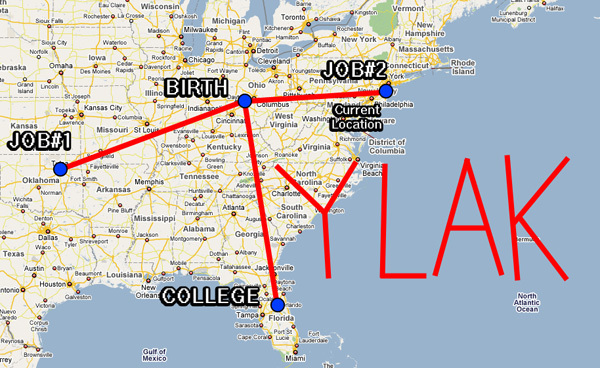 Here is a diagram of the places I have lived.